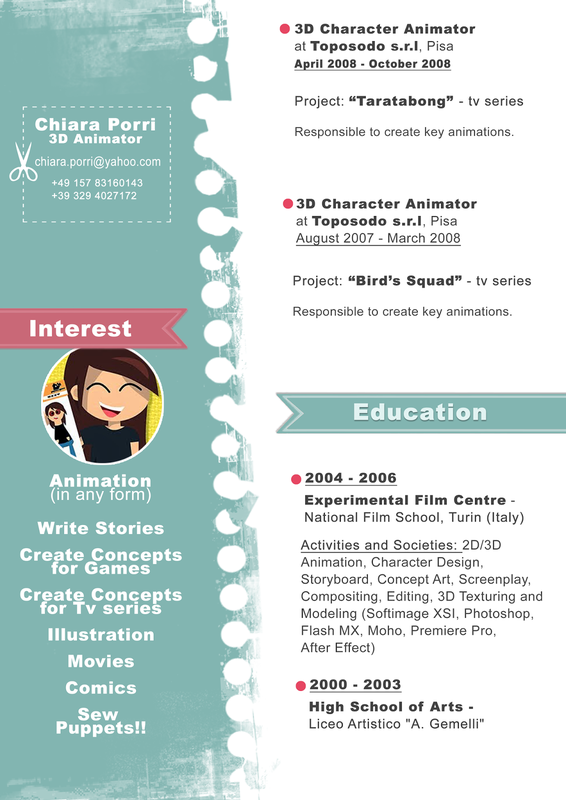 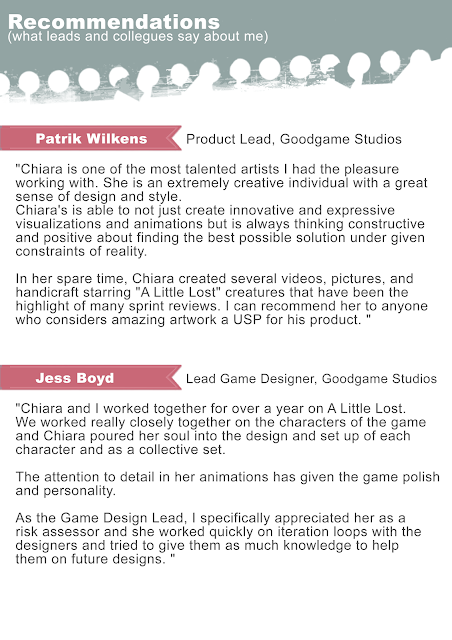 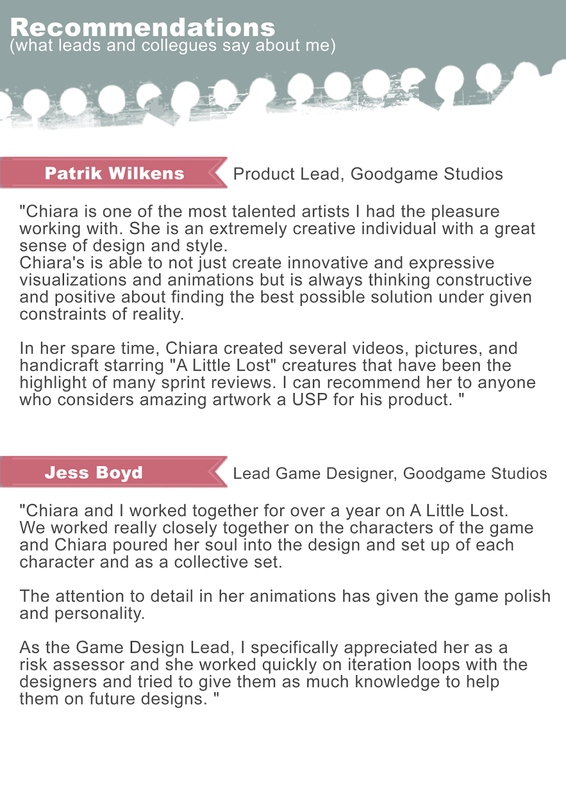 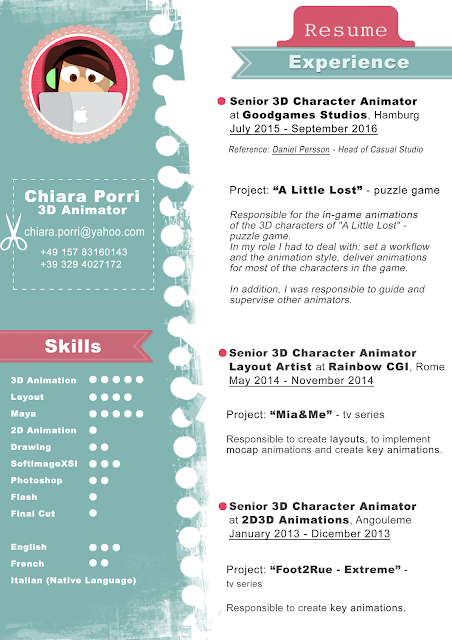 Personal Skills: 9 years of experience in animation. Senior skills, highly professional and organizational capacity, all associated to a particular fast implementation. 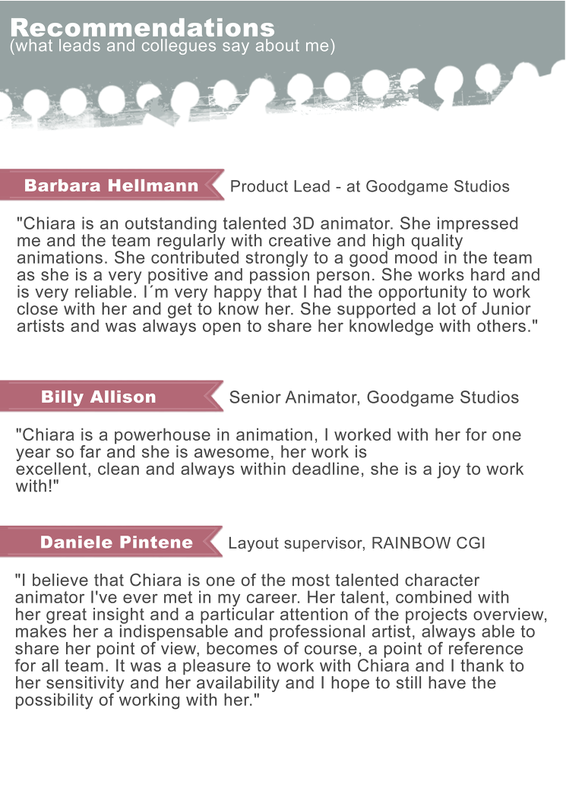 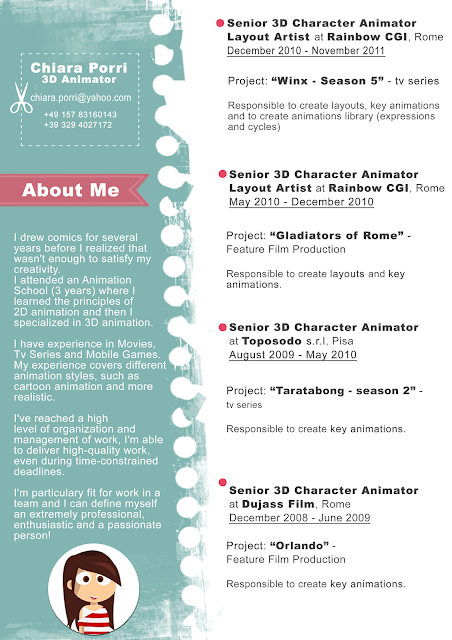 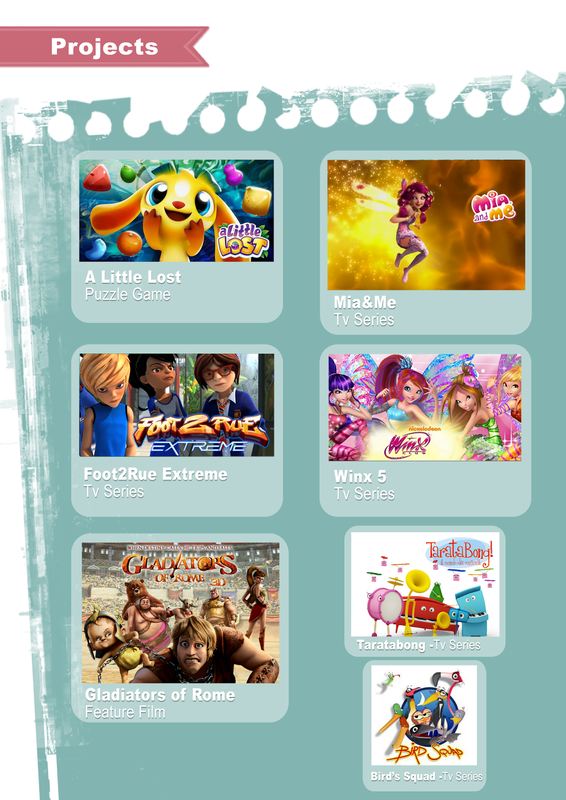 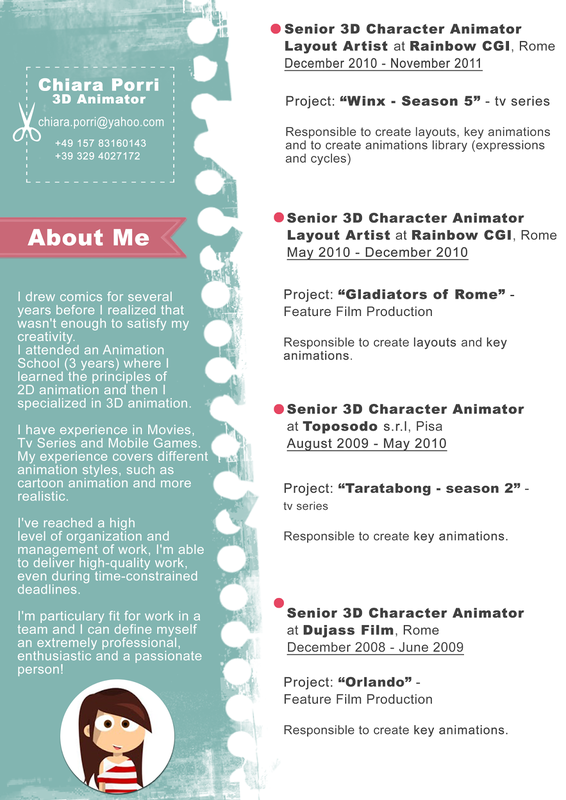 May2014_November2014 working as Layout Artist/Animator at Rainbow CGI (Rome, Italy) for the CGI TV Series "Mia&Me"
February 2013_December20123 working as Character Animator at 2D3D Animations (Angoulême, France) for the CGI TV Series "Foot 2 Rue Extrême"
May 2010_November 2012 working as Senior Character Animator (and Layout artist) at Rainbow CGI (Rome) for the CGI Feature Film "Gladiators of Rome"Senior Character Animator for the TV Series "Winx Club - Season 5"
December 2008_June 2009 working as Senior Animator at Dujass Film s.p.a (Rome) for the CGI Feature Film "Orlando"
January 2006_Dec 2006 Realization of the CGI Graduation Film "Rampicante - Hederae Sycarius" as director, screenplayer, shooting board, storyboard artist, BKG and Props Modeller, Textured, Animator, compositer and editor. 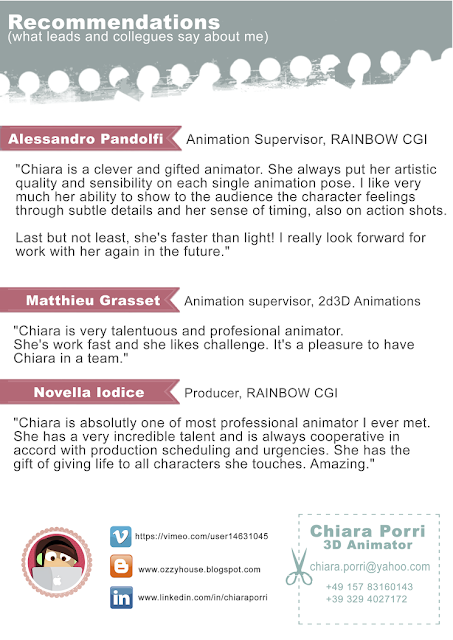 - Selected at Virtuality Conference "8th International Computer Graphics Conference" Torino, 2007.